Thanks for enrolling in InDesign for Info Products! You're all set to start diving into the videos - just check your email to access the Free Course. It's a complete set of 25+ InDesign Templates & 4 Mockup Templates to create printables, digital downloads, workbooks, checklists, guides, & more to set up any aspiring InfoPreneur for success. The InDesign InfoPreneur Product Pack includes 2 Design Styles that total of over 25+ pages that you can customize with your own branding, colors, fonts, & images. Make it your own by adding your own images, text, font of choice, & brand colors! Email Opt-ins such as content upgrades and lead magnets to help gain email subscribers to build your list. Fillable Workbooks for online courses, live workshops, webinars, client homework, and even in person courses. 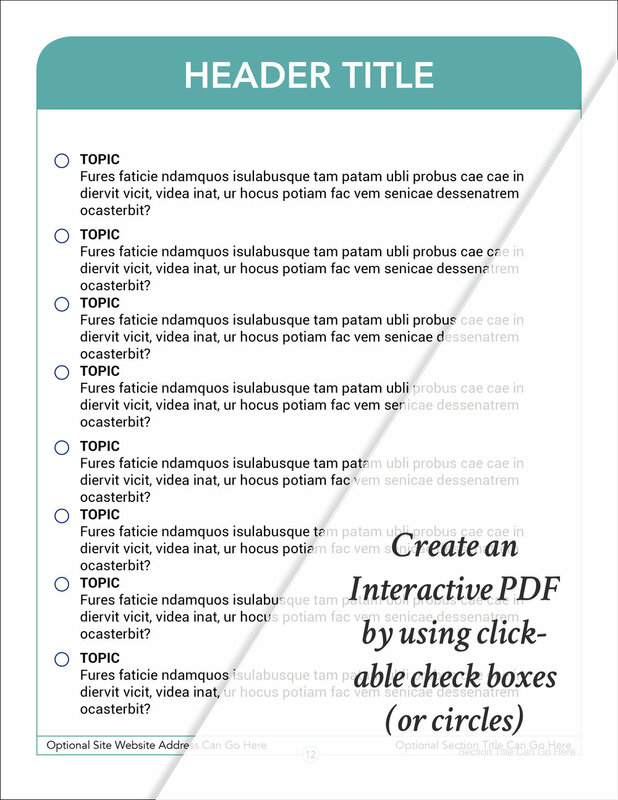 Clickable Checklists that you're able to check off digitally on your computer or print out and check off yourself. Worksheets & Handouts that you can use as handy printables in your business and even in your personal life! Interactive Guides & eBooks that allow you to add your own custom links. You can add links to images or text, and link them back to your website, other online resources, or even products and tools that are an affiliate for. Pinterest Graphics for growing your business passively. 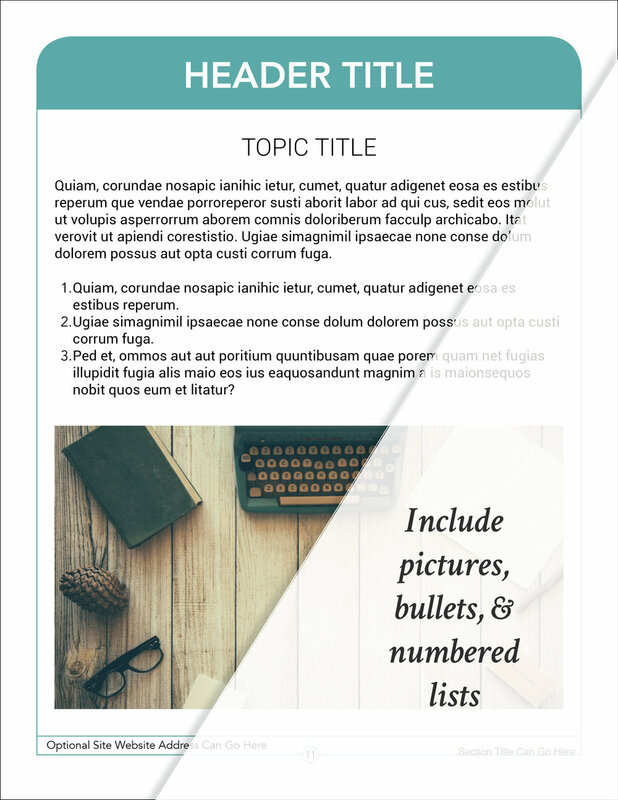 The 6 Image Cover Templates can also be used as Pinterest Graphics! Simply add your colors and change out the photos. Copy the page and add to the new document that is a Pinterest Optimized Size. What's included in the Template Pack? + 4 Product Mockup Templates to showcase on your creations on your website and favorite social media platforms!